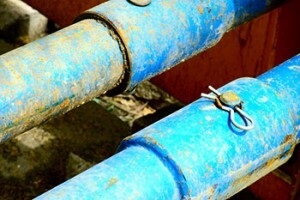 Need your sewer line or any other plumbing issue in Laurel checked out? Call Master Plumbing today! Master Plumbing services the entire Laurel area with comprehensive plumbing services including sewer line replacement, boiler installation and repair, and bathroom and kitchen remodeling services. Get your Laurel home in the best shape possible with Master Plumbing’s essential plumbing services. Many homeowners in Laurel don’t even think about sewer lines until they find out that they need to have theirs replaced. Some of the most common signs of a sewer line problem include a distinct foul odor, very slow draining throughout your home, and backflow in your sink or shower. Sewer lines can become damaged for a variety of reasons, including tree root overgrowth and a clog. Master Plumbing has the tools needed to replace your Laurel sewer line quickly and efficiently. We use video inspection tools to accurately and quickly identify the problem and get your sewer line moving again. Your Laurel home or business depends on your boiler for predictable and reliable heating throughout the winter months. Whether you have a standard boiler or condensing boiler, we can repair or replace your unit. One of our most popular essential plumbing services in Laurel is installing new condensing boilers that are designed to be high-efficiency and save you money on your energy bills. They use heat energy from the flue and redirect it to the heat exchanger to do more with less and lower your overall energy costs. Whatever your Laurel boiler need or issue is, Master Plumbing can repair or replace it. We stock reputable boiler brands including Triangle Tube and Weil-McLain and only offer our customers things that we would use in our own homes. Are you ready to upgrade your bathroom or kitchen? Whether you are doing it yourself or working with a contractor, your Laurel home needs a qualified plumber to perform these essential plumbing services. We can ensure that your new bathroom or kitchen looks beautiful and performs beautifully. Our skilled plumbers are familiar with building codes and proper drain placement, so you won’t need to pay more later to fix DIY mistakes in your Laurel home. To see what we can do for your kitchen or bathroom, contact us today to transform your Laurel home.